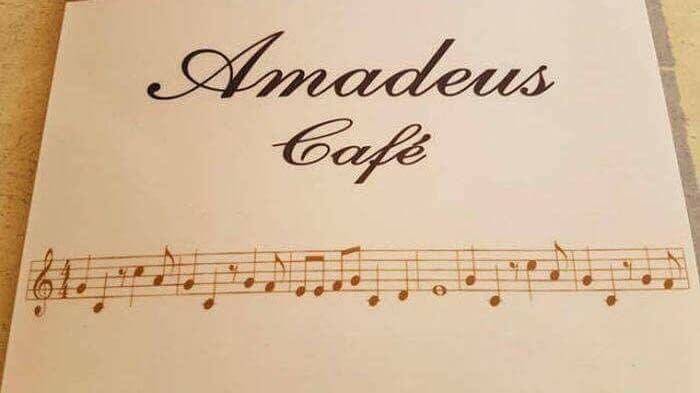 If you owned a place called the Amadeus Cafe, you might use a musical motif to dress up menus, signs and such. But shouldn't it be something by Wolfgang Amadeus Mozart, not the tune from an old cartoon about a prehistoric family? "hey, we should put some music on the front of our menu"
"okay, what should I use?" It's the theme to The Flintstones  which wasn't composed by Mozart.